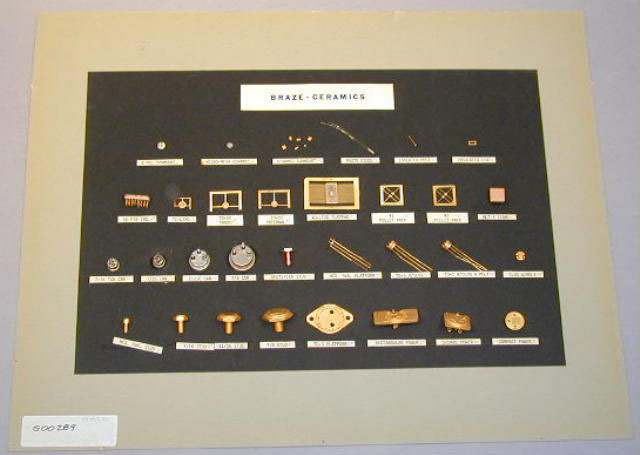 This display shows a number of hermetic seal headers using ceramics and/or brazed submounts and leads. The purpose of the display was to illustrate the work done by the Hermetic Seals department. These items cover the period of about 1960 through about 1980. Many of these items were in extensive production for a number of years. Related material in collection: G00277-9, 288, 290.